No two pools and no two facilities are alike. With variables such as geographic location, indoor vs. outdoor, bathing loads and pool design, maintaining perfect water can be complicated and challenging. Implementing needed changes can also involve a large initial cost. A Water Quality Management Program by Knorr Systems makes your facility’s Excellence in Water Quality Control simple, easy and affordable. For one fixed monthly fee, Knorr Systems can provide and install the right equipment for your facility. These programs are no-risk and economical. After a thorough evaluation by a trained and certified KSI Water Quality Consultant, Knorr Systems will work with you to determine exactly what you need to keep your pool water beautiful, safe and efficient. Knorr Systems will install and maintain all the equipment we provide for your facility. The KSI team will also make sure your staff is trained and able to operate all of the systems we provide. 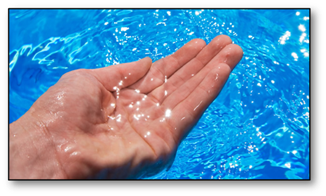 Each Water Quality Management Program is custom-designed to meet your needs. Because no two pools are alike, no two programs are alike. These programs include the cost of equipment, but they can also include pool chemicals as well. Monthly programs can be designed to be comprehensive- including Equipment, Chemicals and regularly-scheduled "check-up" visits from a member of our Water Quality Control team. 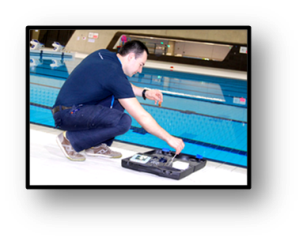 These programs give you, the pool owner, the opportunity to assist us in designing a program that works best for your facility and for your budget.